1) Wipe mushrooms with clean dish towel, cut off stems and discard. 2) In a bowl, mix together flour, corn flour, baking powder, salt, garlic powder and black pepper. 3) Add water to create a batter. 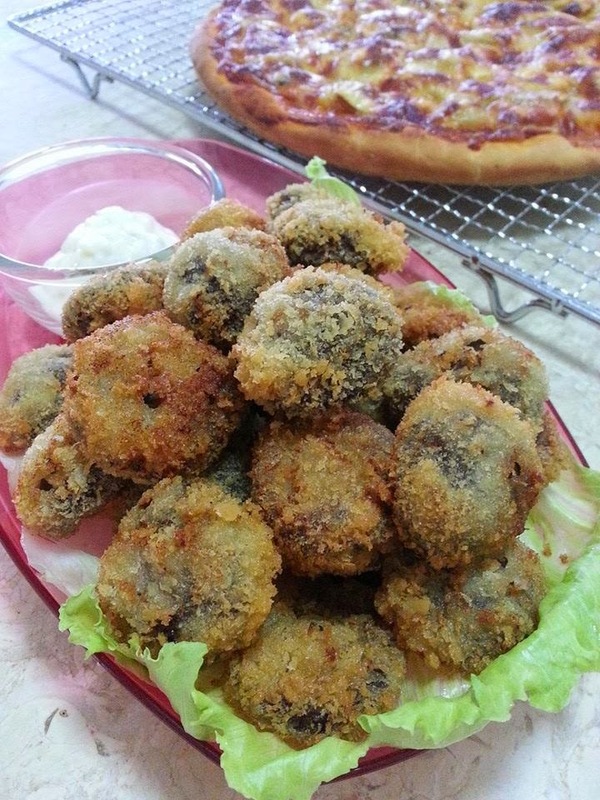 4) Dip mushrooms into batter, drip off excess and coat in bread crumbs. 5) Deep fry in hot oil till golden brown. 6) Serve with mayo or ranch dressing.